Thread: Did I just inherit value or junk? BRAND new to this forum and although I love fountain pens and calligraphy, I've never taken an active interest aside from just writing in my diary. My watch habit has me over on watch forums most of the time which leaves little room for much else. 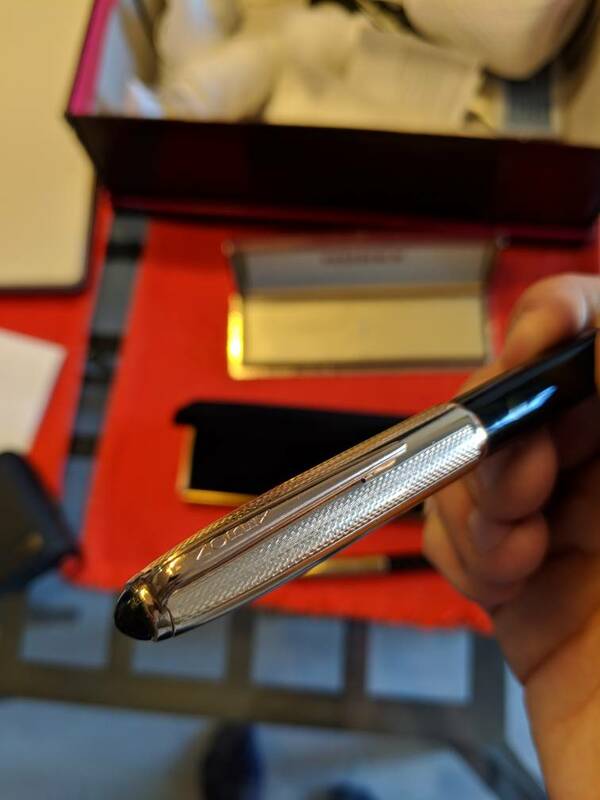 Anyway, my mother in law just gifted me with two vintage fountain pens that she's apparently found in her 90+ mother's desk. They both appear in excellent condition aside from the case. My question here is what, exactly, did I just get and is it valuable? To be clear, this is NOT because I want to sell them. I just like knowing the value of my things as it adds to my appreciation. So, here they are. I'm by no means knowledgeable - just writing as I see it. 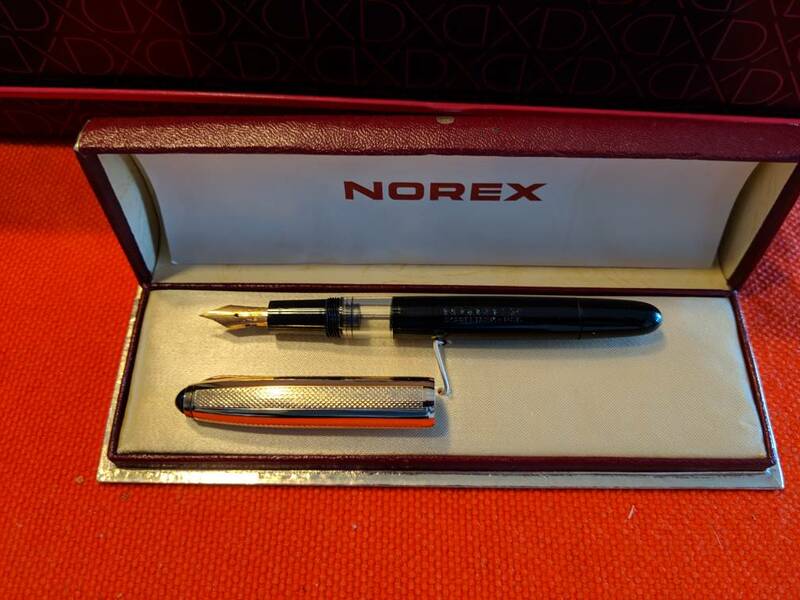 NOREX pen. Piston filler. 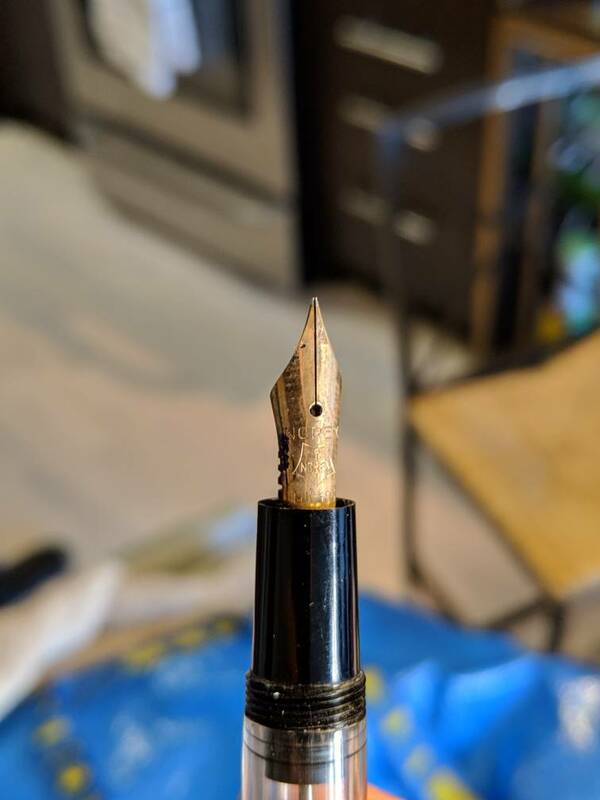 14k gold cap and nib. 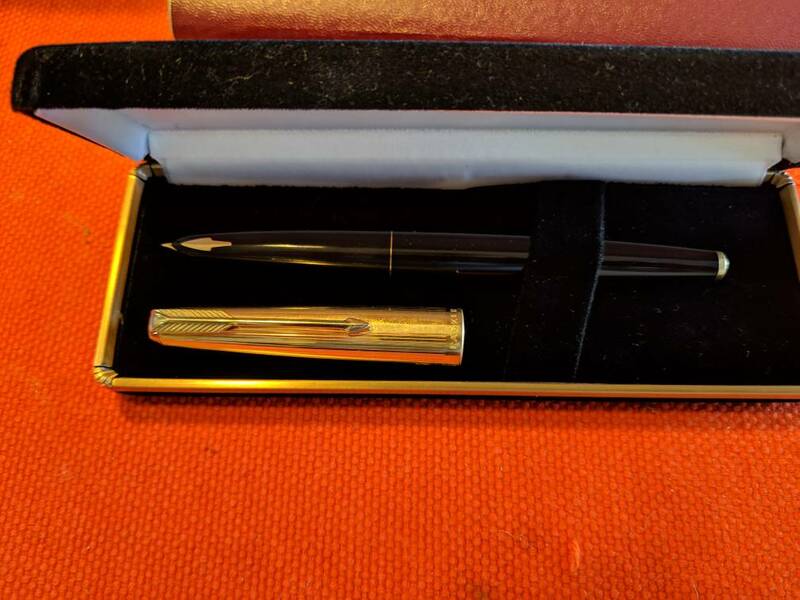 Parker 61 Capillary system - gold cap and nib. Re: Did I just inherit value or junk? You have two nice fountain pens there but not a fortune. NOREX was a German brand IIRC. 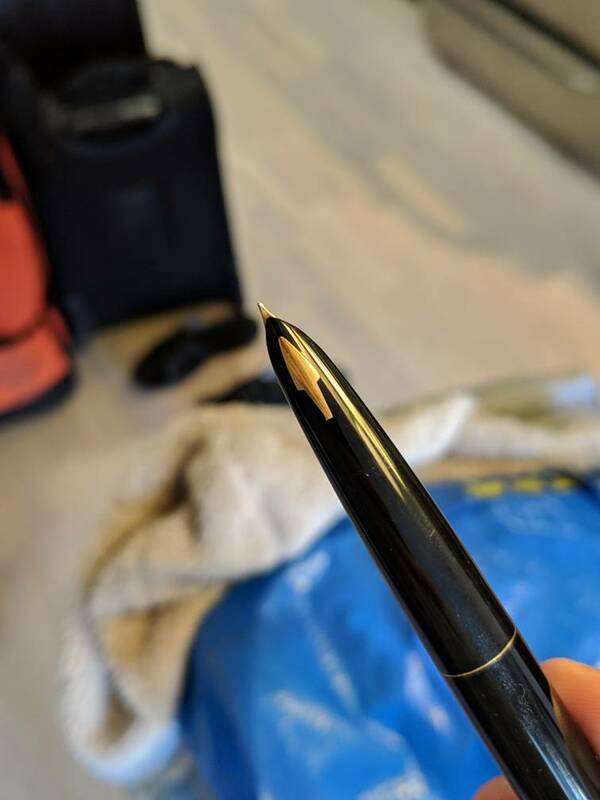 The Parker "61"s were an attempt to make a clean filling pen. I've not heard of Norex pens, but Parker 61's are reasonably popular. I never liked the capillary filling system though. Too hard to change ink colour. Eventually Parker scrapped it and adapted it to use a converter. Brilliant! Thanks for the link. I'm actually cautiously optimistic because judging by the white fluffy colour of the opening at the back, I don't think it's ever been used. May not need to clean it! Parker is definitely of value. Can always replace the nib on the Norex with something better. Decent pens and I would not turn them down. So what exactly would safe ink be? Is Waterman acceptable? If you can see white tufts in the back of the capillary filler on the 61, it’s never been used. Congrats. Waterman and Pelikan inks are the safest. Parker might disagree with you on that one Especially for their 61 capillary filler. How so? Filled it up with Waterman two days ago and it's been writing like a dream! Most Diamine inks are good too. In general, dye-based inks are safer than pigment-based. 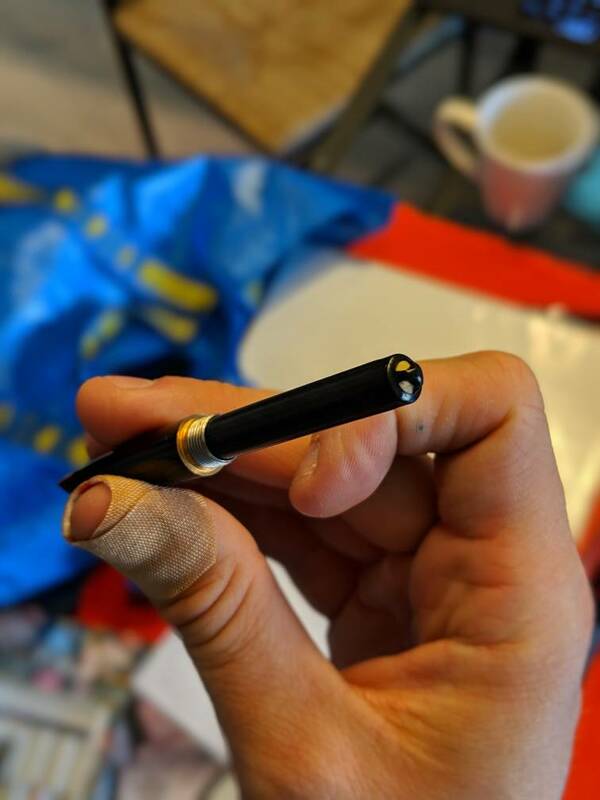 Pigments (particulate stuff) can clog pens. Also iron gall inks can be a problem. I'd avoid both pigment and IG inks until you learn more about them. Richard Binder's site has good information on the subject. Always remember: the price is not the value with pens or anything else otherwise. That Norex is really beautiful! Classy! I suspect Chrissy meant that Parker would disagree that a list of safest inks doesn't include Parker. They would have designed the pen to work with their own inks. Still, most modern inks aren't going to cause you any issues. Just watch out for dye inks and iron gall inks as has been mentioned. They might cause clogs in the capillary system. Otherwise, enjoy them. They look really nice. Essentially, avoid Noodlers, Private Reserve, and “boutique” inks. Try not to use orange inks. They can clog it up really badly. Stick with inks from companies who also make pens. Just watch out for dye inks and iron gall inks as has been mentioned. They might cause clogs in the capillary system. Otherwise, enjoy them. They look really nice.